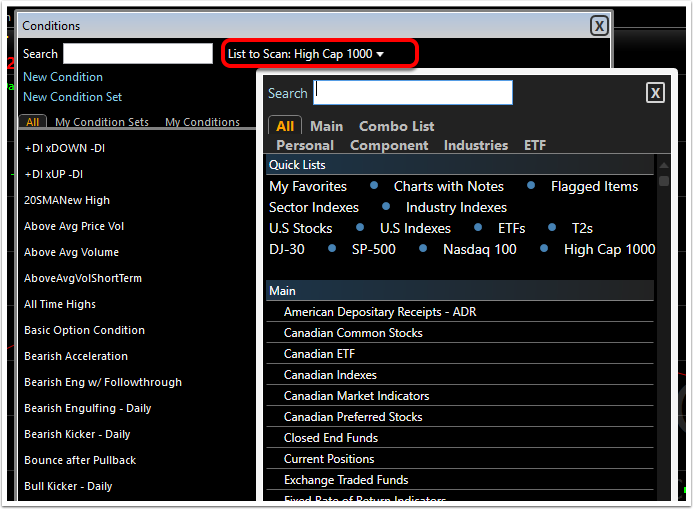 You can set any WatchList as your Default list to Sort/Scan. Any time you run an EasyScan or Sort in a new window, it will use this default. Here are two different ways to set the default WatchList. Left click on the Watchlists button on the main toolbar. 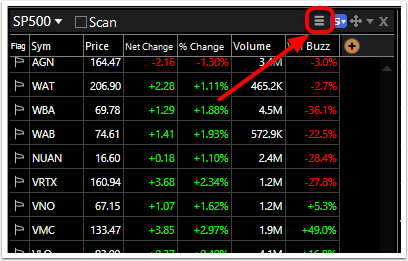 Left click on the menu icon in the top right corner of the WatchList. 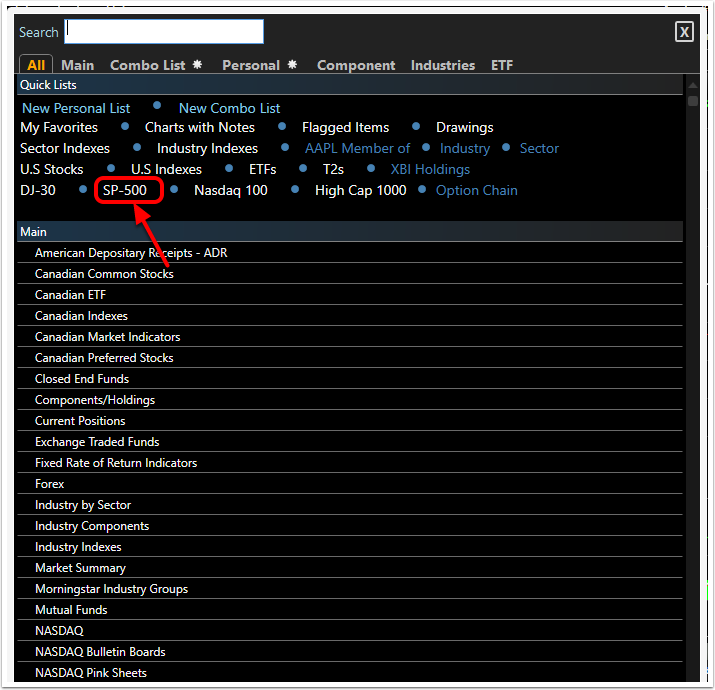 Left click on Set this Watchlist as System Default.